It’s been a grey, cold week. The air, heavy with damp, seeps up sleeves and down collars, cold chilling you to the bone, red fingers, running noses. Snow floats from leaden sky, shadows gently tumbling, momentary spots of white against dark asphalt before they melt away, too wet to stick, sleety and miserable. My least favourite winter weather. Against the gloom it’s been good to see colour and life returning. 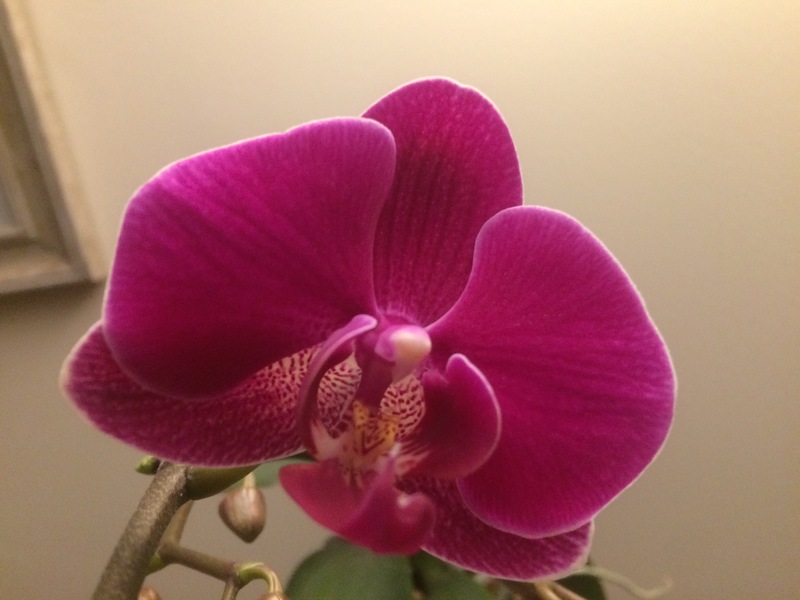 Two of our orchids have started to flower this week. I love the vibrant jewel like tones, the glossy buds along the stem the promise of more colour to come. 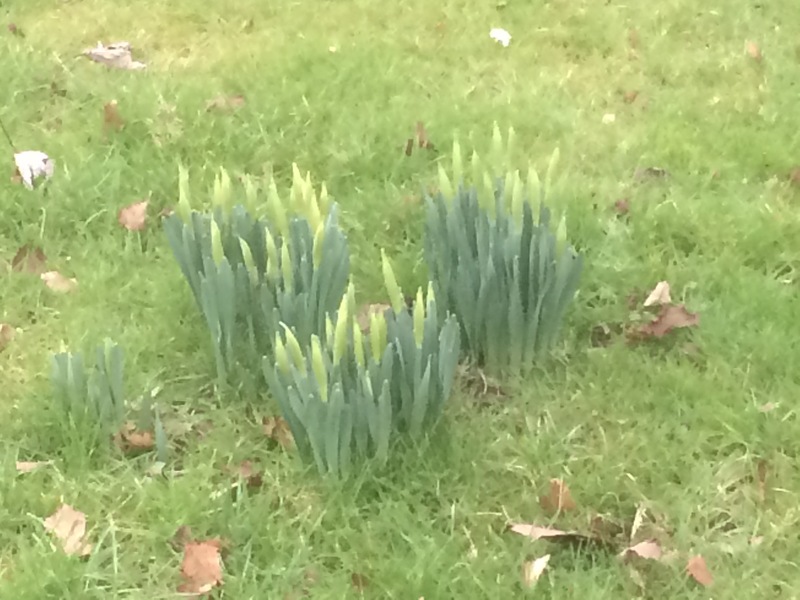 On a lunchtime walk daffodils ready to bloom, newly budding in the verge. Being outside more I’m certainly noticing the small changes day to day, week to week as Spring draws near. Lettermo is going well. I’ve sent postcards, cards to friends, and letters for an Amnesty urgent action appeal. 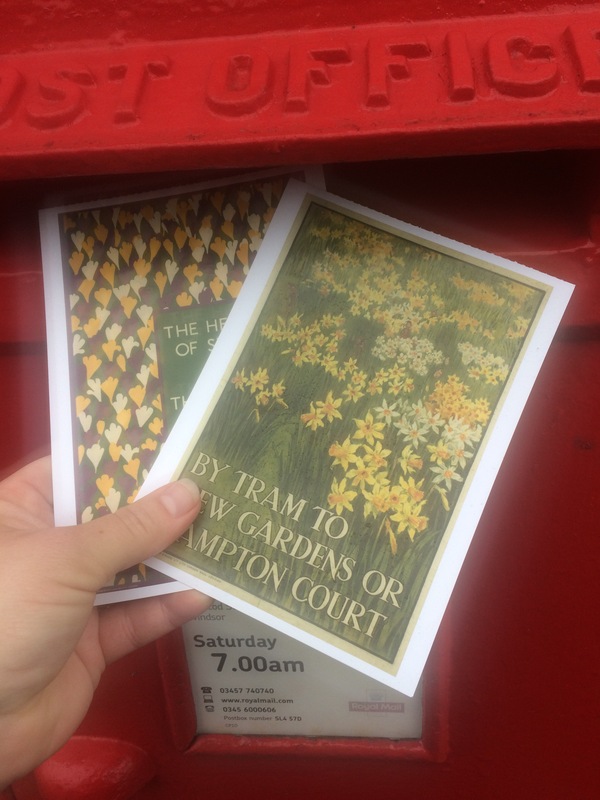 I’ve been searching out new letterboxes on my lunchtime meanders, sending post every day. This February it’s time to #showthelove for nature and make a stand against climate change. Across the country people are making and sharing green hearts. Here are mine, made from an old t shirt and some material left from a craft project. I’ve also given them to people I love! One of the things on my “could do” list this month was to eat pancakes. My parents are staying for the weekend, so this morning Mum and I made fluffy pancakes from a recipe in this month’s The Simple Things magazine. They were a bit complicated for first thing in the morning- three mixing bowls, beaters and so on, but they were very tasty! Also reminded me how much I like avocado. The garden is beginning to show signs of life. 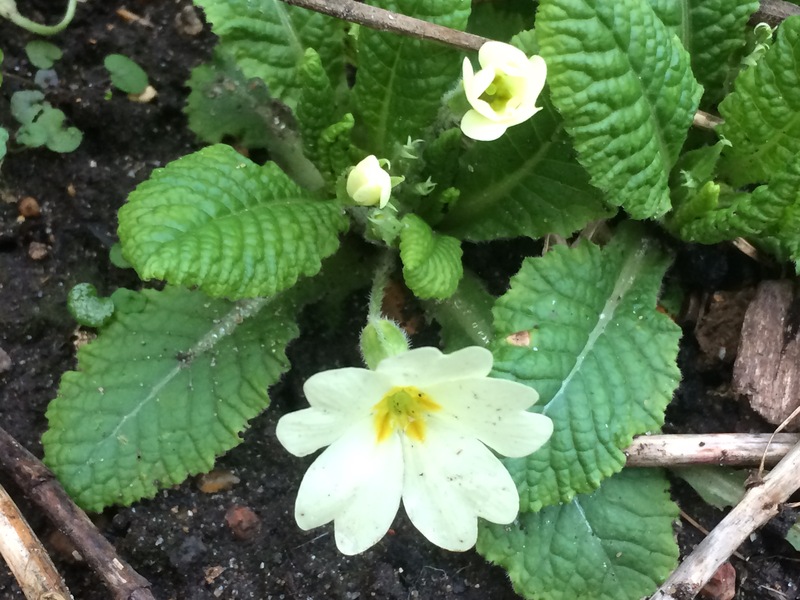 Today I noticed the first primroses of the year, I love these cheerful lemon yellow flowers, always one of the first in bloom. I’ve started another embroidery. This little hare will join my badger on the wall. I notice the same company have lots of others including a puffin, so they may well be joined by others. My next project will be a cheerful Robin, which Mum picked up for me from a trip they had to Buxton. Hope you’ve had a good week. Here’s to a brighter week ahead! 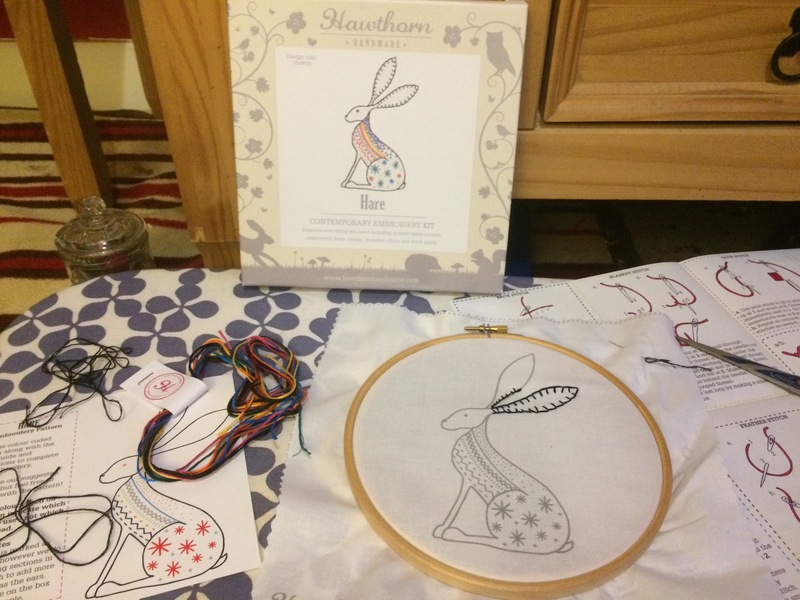 Sunday Sevens is the idea of Natalie over at Threads and Bobbins, a way of sharing the small details of the week through seven photos. Thank you! 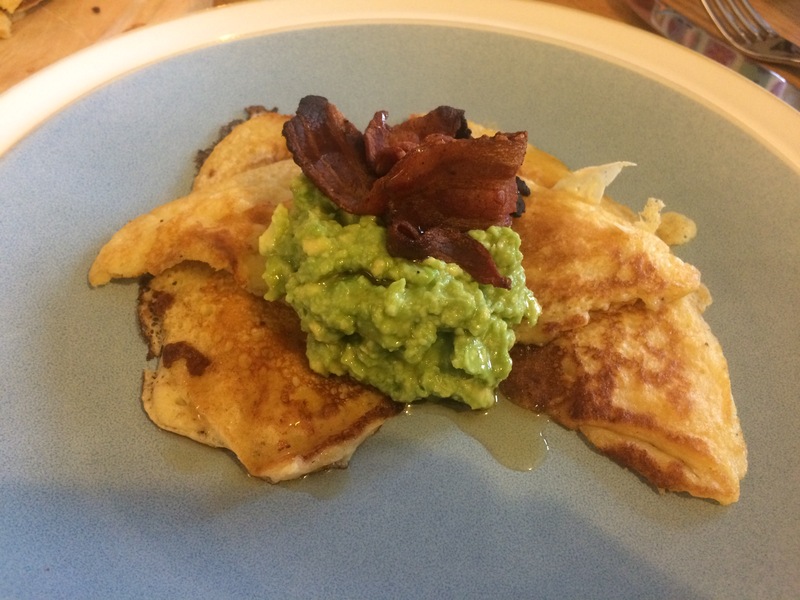 It seemed too long to wait for shrove Tuesday at the end of the month, although they’ll be plenty more pancakes then too! 🤤 The first primroses of the year always make me very happy too. Look at all of those lovely flowers! Especially those orchids 🙂 Pancakes look yummy! Looking forward to seeing your finished embroidery.